No team last season got a bigger contribution from its rookies than the Philadelphia Flyers. Matt Read led all first-year NHL players in goals, Sean Couturier provided lock-down play in the middle, and Brayden Schenn developed into a solid top-six forward. With that much youth, the Flyers don't have to be in a hurry with their next prospect group. While some will have the chance to earn playing time during the season, there won't be any kind of a rush, which will allow the players' full skill sets to develop at the proper speed. Scott Laughton was the Philadelphia Flyers' 20th pick of the 2012 NHL Draft and he tops the list of the organization's best 10 prospects. 1. Scott Laughton, C: The Flyers chose Laughton with the 20th pick of the 2012 NHL Draft after a season that saw him total 21 goals and 53 points in 64 games with the Oshawa Generals of the Ontario Hockey League. He also had seven points in seven games to help Canada win the bronze medal at the 2012 IIHF World Under-18 Championship. Flyers director of hockey operations Chris Pryor told NHL.com the biggest thing the organization needs to see from the 6-foot-1, 177-pound forward is for him to get bigger and stronger. "He plays the game the right way," Pryor said. "He plays both ends, he's competitive. He's got some offense in his game, got a lot of compete in his game. He plays a good two-way game. And he works and he's competitive." 2. Brandon Manning, D: The only question about Manning entering last season was his health, and once he got some nagging issues taken care of, the undrafted blueliner blossomed with the Adirondack Phantoms of the American Hockey League. He had 19 points in 46 games, but 16 of those points came in his final 28 games, and he earned a four-game NHL call-up in March. Manning will complete with Erik Gustafsson, Marc-Andre Bourdon and Bruno Gervais in training camp for a spot as the sixth or seventh defenseman with the Flyers. "I think when he started to feel healthy, we saw his progress," Pryor said of Manning. "Especially the second half of last year, you started to see the results in his game. … Going forward, we expect, as Brandon does, to contribute at [the NHL] level. He's very competitive, he can play both ends of the rink, and for a young guy, he's got a lot of character and compete in his game." 3. Niko Hovinen, G: The 6-7, 200-pounder originally was drafted by Minnesota in 2006 but never came to North America. 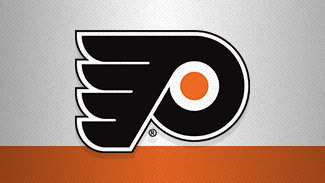 The 24-year-old signed with the Flyers in May 2011 and likely will start the 2012-13 season in the AHL. He had a 2.26 goals-against average and a .920 save percentage with Pelicans in the top Finnish league last season -- and was just as good in the playoffs, posting a 2.30 GAA and .925 save percentage in eight games to help Pelicans advance to the league finals. "Our guys over there saw a lot of him and they really liked him," Pryor said. "Number- and performance-wise he did very well. We feel like he should be able to come over here and continue on with his development. … He looks like he's going to be able to give himself a good opportunity to have a good career over here." 4. Nick Cousins, C: The 2011 third-round pick has been compared to former NHL player Ken Linseman for his ability to create offense and draw the ire of the other team. While skating with the Sault Ste. Marie Greyhounds of the OHL last season, he was fifth in the league with 88 points and sixth with 53 assists. He also was an effective pest, goading teams into unnecessary penalties while only earning 88 penalty minutes himself. "Not only does he have a good head and a good stick on the ice, he can make plays, he brings that element of offense, but he's got a persona, a knack … he's got a bit of irritability and gets under people's skin," Pryor said. "He's got a knack for being a pesty guy to play against. And he can play the game. … Those are attractive traits." 5. Cal Heeter, G: The Flyers signed the undrafted free-agent in March after he went 13-11-5 with a 2.45 GAA and .918 save percentage as a senior at Ohio State last season. "Neil Little [scout] liked him, athletically and fundamentally," Pryor said. "Neil saw him extensively. … We thought it was a good situation for Cal. We're happy with him. He's going to go onto the American league right now and battle for ice time. Both him and Hovinen will give us a nice tandem [in Adirondack]." 6. Matt Mangene, C: The undrafted 23-year-old will start his first full season in the AHL after going scoreless in five games there following the end of his season at the University of Maine . The 5-11, 190-pounder had 16 goals and 34 points in 40 games with the Black Bears last season. Mangene signed with the Flyers in April and is listed as a center, but skated as a forward and a defenseman in his three college seasons. "That's one of his strongest attributes, that he can skate and to be able to play forward and defense is a compliment in itself," Pryor said. "He has good speed, he competes and is versatile to go along with having some skill." 7. Tye McGinn, LW : A 2010 fourth-round pick, McGinn had 12 goals and six assists in 63 games in his first AHL season in 2011-12. "Like the other guys coming out of junior, Tye progressed as the year went on," Pryor said. "He's a big body [6-2, 205] with good hands and can play with some edge. He's good down low and around the net. He needs to continue where he left off last season." 8. Marcel Noebels, LW: The 2011 fourth-round pick had 34 points in 31 games with the Portland Winterhawks of the Western Hockey League after arriving there in a trade last season. He added 23 points in 22 playoff games while playing a new position -- center -- and playing through a wrist injury that needed offseason surgery. At age 20, he'll have a chance at training camp to earn an AHL spot, rather than return to the WHL for his over-age season of junior hockey. "He's a bigger kid [6-3, 200]," Pryor said. "He's had a pretty good career out west. They were very happy when they acquired him in Portland last year, he was a big part of that team down the stretch. We liked that he was able to play wing, and when he got to Portland he played center. That tells you something about the kid, that he's able to play a couple positions like that. He's a big body. We think he's got a promising future." 9. Tyler Brown, LW: The undrafted forward had eight goals and nine assists in 71 games last season for Adirondack, his first in the AHL after four seasons with the Plymouth Whalers of the OHL. "One thing about Tyler Brown is he's got some size [6-1, 185], and he can really skate," Pryor said. "If you look at the game now and you've got some speed and some size like that, you're going to give yourself a chance. Last year was a big transition year for him, took a while for him to figure the game out, but then he started showing people what he showed in junior. He's an exciting guy to watch because he can skate." 10. Anthony Stolarz, G: The Flyers' 2012 second-round pick had 23 wins, a 2.84 GAA and .902 save percentage in 50 games with Corpus Christi of the North American Hockey League last season. The 6-5, 210-pound goalie will continue his development in the fall at the University of Nebraska-Omaha. He also was invited to USA Hockey's National Junior Evaluation camp, which could put him in the running for a spot on the team the United States fields for the 2013 IIHF World Junior Championship. "He's in a good situation going to college," Pryor said. "He's a big, athletic kid who just needs to play. Coming out of the [NAHL], the WCHA is going to be a bit of a jump for him [but] he's a big athletic kid. The more ice time, the more games he's going to get, he's only going to get better. He's going to get quality coaching in a quality program and he can just go play."